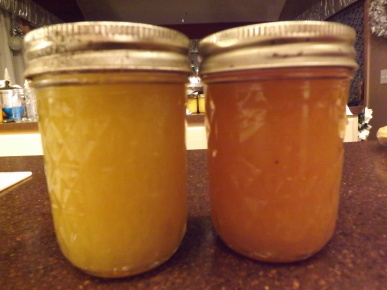 Fresh pineapple marmalade and jam. A few weeks ago a local grocery store had a sale on extra-large fresh pineapples — $.99 each. So being the ever vigilant bargain hunter, I bought 16 of them. What could I possibly do with 16 pineapples you wonder? Well, can them of course. Now pineapples aren’t typically ready to eat right when you bring them home, at least this hasn’t been my experience. This being the case and knowing that I wasn’t going to be in a position to can them right away, I picked out pineapples as green as they came. For two weeks they sat on my dining room table waiting, ripening, until a few days ago. As I entered the dining room, the sweet smell of pineapple overwhelmed me and I knew right away it was time to set to work. Some of my favorite things to can with fresh pineapple include crushed pineapple or using the juice in sweet & sour sauce, but with this batch of pineapples I decided to start with some Fresh Pineapple Jam and a Mixed Winter Fruit Marmalade, both recipes can be found at Simply Grateful Canning. These recipes made only a dent in my pineapples, so I’ve got lots more things I can make, and for this I am — Simply Grateful. Can you believe it? I had never made gingerbread cookies before yesterday! Have I deprived my family or what? Well, with the 12 days of Christmas carrying on beyond Christmas day, I decided this was the year to give this traditional Christmas cookie a shot. I did cheat just a bit, as I didn’t make my own Royal icing but rather opted to buy cookie decorating frosting. In my defense though, I wasn’t sure the family would even like these cookies, so why spend the time making the icing. Cookie icing could be put on next year’s to do list. The cookie dough came together very quickly in my food processor and set up faster than I thought it would in the freezer, making this project far less time-consuming than I planned. In less than an hour I was decorating and the family was taste-testing homemade gingerbread men. 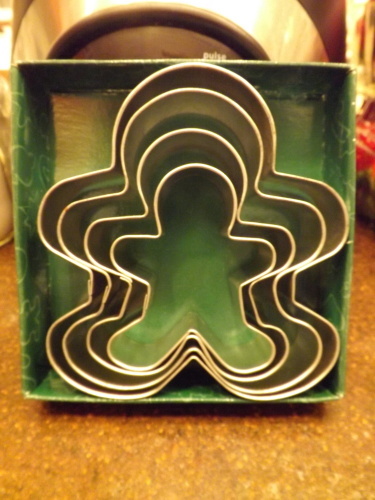 You can check out the recipe and step-by-step instructions at Simply Grateful Cooking Homemade Gingerbread Men Cookies. Hubby loved the cookies, but without any frosting; Zeb loved the cookies with tons of frosting; and Grace, well she said they tasted similar to molasses cookies and being that they are not her favorite or even close, she probably won’t be eating too many of these. Decorating the cookies though was definitely fun everyone. I am so glad I finally bit the bullet and made gingerbread men. 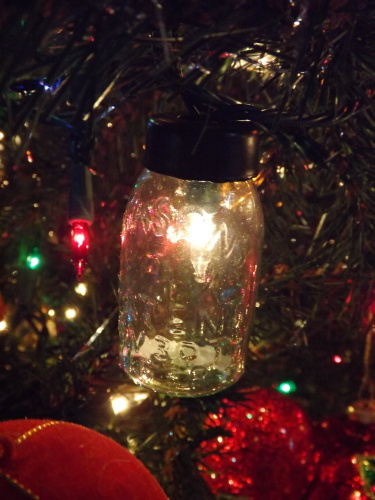 Next year I am looking forward to doing this again and possibly experimenting with other cookie cutter shapes and even using some of these as ornaments on the Christmas tree. How Christmasy will that look? And dare I say, try my hand at a homemade gingerbread house! The house is filled with the spicy scent of gingerbread, and for this I am — Simply Grateful. Pass some steaming mugs of cocoa all around. There is nothing better than a bubbling cup of hot cocoa on a cold, blustery winter night. Last night freezing rain pounded our house from around 3 p.m. till nearly midnight, leaving us with a slick coat of ice on the ground. It was the perfect night to stay in, wrap yourself up in a warm blanket, and sip homemade cocoa around the fire. Hot cocoa is one of those drinks that if made right can be addicting, but if made wrong, can be terribly disappointing. For years I have sampled every hot cocoa mix I could find on the grocery store shelves and taste-tested tons from coffee houses and restaurants. Although there have been some real winners among the many cups I’ve drunk, I decided the time has come to find the perfect hot cocoa recipe to make at home. First on my list of ones to try was the traditional Hershey hot cocoa (find the recipe at Simply Grateful Cooking Hershey’s Traditional Hot Cocoa). The results? It was good. I can’t say it was the absolute best I’ve ever had, but it was very good, something I would make again — if there weren’t a stack of recipes printed off and waiting to be tested on the kitchen counter. For now, I’m content we were able to enjoy some homemade cocoa together and begin our journey on the road to the perfect hot cocoa, and for this I am — Simply Grateful. And from cooking & cleaning got a break! The third day of Christmas was spent helping Hubby out at the motel. With how many hours he is away from home, it was nice to spend an entire day with him, even if it had to spent at work. At the end of the day though, Hubby surprised me and took us out to dinner. We don’t go out to dinner very often, probably two or three times a year at most, so an evening without cooking is quite a treat. Once we were home however, I took advantage of the time I didn’t have to spend cleaning up the kitchen from dinner and made a few candies that I’d not gotten to during the holidays. 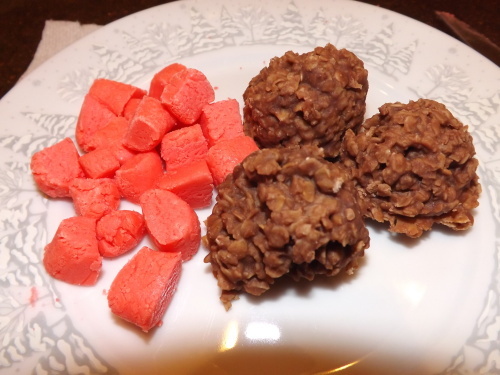 I made Old-Fashioned Butter Mints and No-Bake Peanut Butter Oatmeal Drops (both recipes can be found on Simply Grateful Housewife). The peanut butter oatmeal drops could be considered a cookie, but they are so rich and chocolatey, some might consider them a candy. Life doesn’t always give us the time we want with those we love, so being able to spend an entire day with Hubby is very special, and for this I am — Simply Grateful. Peppers are a poppin’–to spread some holiday cheer. Although I have claimed this year was the year of the skunk because of Bell’s chance encounter with one early last fall, I could also claim that this year was the year of the pepper. After harvesting more than 1,000 peppers from the garden starting in July, and not picking the last until early November, I’d have to say my pepper crop was a success. Last spring I planted approximately 35 szegedi, white cloud, and Romanian bell pepper plants, 6 yellow and green bells, and two jalapenos. At least 95% of the peppers I harvested came from the Romanian and szegedi, which was my hope. I canned nearly all of those. The other types were for eating and just a little freezing. In 2014 I harvested more than 200 jalapeno’s just from two plants and never thought I need to plant them again. 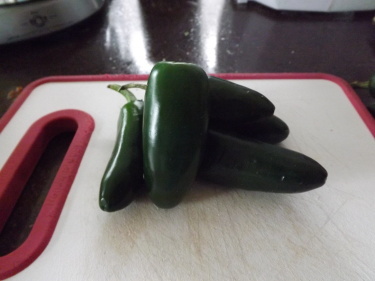 Now, however, I can’t wait to plant at least 10 jalapeno’s this spring so I can prepare and freeze the absolute best jalapeno poppers I’ve ever tasted. For years we have enjoyed the occasional treat of store-bought frozen poppers. I didn’t buy them very often because we try to stay away from processed food as much as possible. The thought of making them myself, however, seemed unrealistic. All I imagined was dropping a cheese filled pepper half, dipped in bread crumbs into my deep fryer and ending up with a pile of goo burning at the bottom. Experience is a wonderful thing. With all the cooking and experimenting I’ve been doing these past couple of years, I finally felt confident enough to give making my own poppers a try. With experience comes “tricks of the trade” and to make perfect poppers, there is definitely a trick! I bought a small container of jalapeno peppers, made sure I had enough time to complete the project because doing this right was not going to be short and sweet, and then set to work. The results…perfectly fried poppers pulled from the deep fryer. For the recipe and step-by-step instructions, visit Simply Grateful Cooking Homemade Jalapeno Poppers. After I was sure that the process and recipe were right, I gave some thought as to how I was going to utilize this recipe next summer. I decided to try freezing a few of the poppers two different ways to see how they would hold up. First I froze one before I cooked it. The only glitch in doing this I could see was whether or not it would cook through before it browned too much. No problem. It took between 3 and 4 minutes to turn golden brown and the cheese was melted and hot. The next test was to freeze a deep fried popper and then reheat it. Reheating could be done in two ways: microwave or oven. Both methods worked fine. The microwaved popper heated up faster, but was not as crispy as the oven heated popper, but either way worked great. I microwaved the frozen popper for 1 minute and then 25 second intervals until it was hot and baked the frozen poppers in a 350 oven for 10-12 minutes. Success! So come this summer I have a new project and a plan. I’m going to plant at least 10 jalapeno pepper plants and hope to harvest 100’s of peppers. I’ll clean, fill, bread, fry, and freeze at least half of them, and then clean, fill, bread, and freeze uncooked the rest. This way I’ll have poppers the kids and Hubby can reheat whenever they want, and I’ll have fresh ones to deep fry next year for holiday entertaining. What a great way to spend the second day of Christmas – in the kitchen, making something everyone loves, and getting a jump start on my garden plans for the coming spring, and for this I am – Simply Grateful. Most people believe that the twelve days of Christmas begins on December 12th or 13th and ends on Christmas day December 25th, when in fact the first day of Christmas is December 25th and ends January 5th. In the spirit of this tradition, I have decided to take these twelve days and make the most of them. The twelve months before Christmas didn’t seem to allow for enough time to get all I wanted from the season or do what I wanted do, so these twelve days are my way to make up for what I missed. Yesterday, the first day of Christmas (December 25th), I made the most of the day by enjoying every moment with my family. It actually began on Christmas Eve afternoon by sharing some time with my parents and lasted through Christmas Day. Hubby, the kids, and myself spent as much time as we could together, leaving cell phones and computers turned off, concentrating instead on being together. There were presents, but that isn’t what we focused on. We ate all our meals together, watched holiday movies, listened to Christmas carols, and spent time remembering holidays past. It was wonderful and exactly what the holidays are supposed to be. We each gave of ourselves, making time for each other, and making moments to hold on to for the rest of our lives. 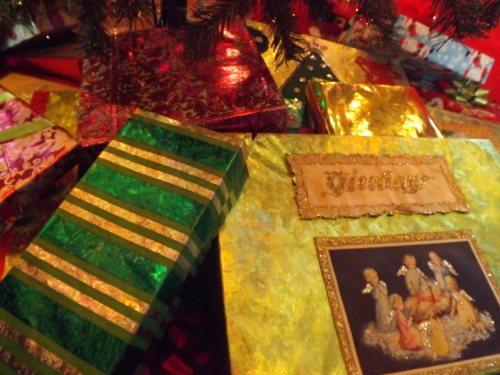 On the first day of Christmas, my family gave to me — Christmas day together merrily. “Or want what they get. As I chat on the phone. What is all this junk! No joy will it bring. No gifts of that kind! The joy that I’ve sent. And one that should grow. If you haven’t a clue. Should be this year’s creed. In hearts all year long. Why do you buy presents? Yesterday I got a call from my mother. She was moody, grumpy, and basically annoyed with the world. The reason for her call — to get Christmas gift ideas for the kids. She had spent the entire day before out shopping, looking for things, anything, and still hadn’t spent what she had budgeted for them. In fact, she hadn’t found anything for them other than the one gift idea I gave her for each of them nearly a month ago. Okay, so her logic is definitely lost on me, but at the same time, I know I have taken some of her beliefs and lessons that her and my father have instilled in me about Christmas gift giving and been guilty of practicing them over the years. Even this year I found myself stressing about buying gifts for people, wondering if I’d bought enough, wondering if I should buy more, rethinking my decision not to buy presents for my parents because they neither need anything nor appreciate it. Rather than buying gifts, I chose to make them cookies, take them to a concert (not proclaiming however that it was a Christmas gift), and spending time with them. Based on my mother’s materialistic view of gifts, I know she and my father will be hurt and disappointed when they have no gifts to open this year. After my conversation with my mother, after she flatly hung up on me when I could not supply her with any more “ideas,” I began to scour the stores for gifts for her and my father. Once again I had been sucked into the Christmas gift merry-go-round that is neither fun, nor what I want this season to reflect or be about. When I buy a gift for someone, I want it to be because I know it is something they are going to love or at least hope they will. I don’t want to go out and arbitrarily buy gifts just so I have something to give someone in return for a gift they are buying me. I don’t want to check off a list that is handed to me and then watch as the recipient checks off their list in their head as they open gifts. I’m not against buying someone what they want, but I am against being chained to a list. Some of the most wonderful gifts I have received are ones that I never knew I wanted. My good friend Suzanne has especially surprised me with many wonderful gifts, thoughtful gifts, gifts I know that she put a part of herself into and she has truly inspired me to try to do the same with gifts I buy or make. This phone call from my mother, however, tainted my perspective once again and gave me reason to doubt myself and my gift giving choices. I hate that. My mother has an uncanny way of bringing the worst out in me. It’s not like this holiday season hasn’t already had enough glitches in it with me being sick at the beginning and again now, being too busy or too exhausted to do many of the things that I wanted, forgetting what is truly important during the season, not doing any entertaining, and baking only a few holiday treats to date — why not throw in a little gift-giving guilt to round out the season?!! Remember, this is the season of compassion, so bear with my poetic attempt. Anyway, Merry Christmas to you all and I hope your holidays are filled with love and joy and the gifts that you wanted as well as those you didn’t know you did. The holidays are upon us, today and everyday in your heart if you let them, and for this I am — Simply Grateful. As nice as it is to hear that, it would be nice on occasion to go out on the town. Still, I just can’t seem to help myself. A few weeks ago I attempted yet another specialty dish that we could only find at a local restaurant — puffy tacos. I haven’t quite mastered it yet, but Hubby already has crossed going out for these off his list of foods to eat out. 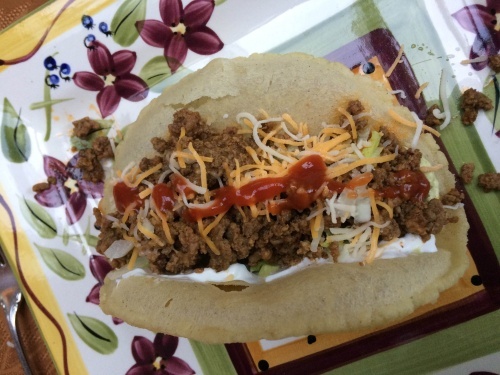 Check out my recipes for Puffy Taco Shells and Homemade Taco/Burrito Seasoning at Simply Grateful Cooking. Even though it means that I might not get to go “out” for dinner or lunch, I doubt I’ll ever stop trying to make Hubby’s favorites here at home, it’s just what I do. Thankfully, Hubby does appreciate my efforts, and definitely makes all the effort worth the while, and for this I am — Simply Grateful. 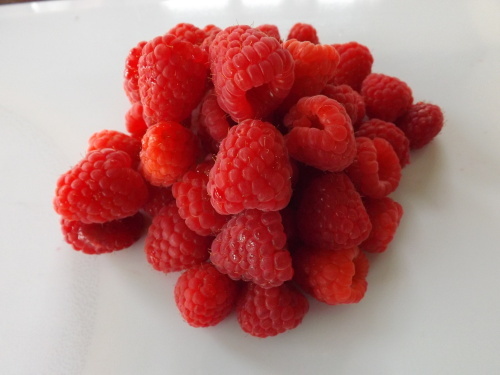 Over the summer I did many canning project using raspberries. One that I started back in July was infusing white wine vinegar with fresh raspberries. Although this was probably done sometime in August, things were so hectic, I never got around to finishing it. The other night I needed a special salad dressing to perk up a ho-hum salad at dinner. Remembering the raspberry vinegar steeping under the counter, I decided to finish up the Raspberry Infused Vinegar and whip up a batch of Creamy Raspberry Vinaigrette. These recipes can be found on Simply Grateful Canning and Simply Grateful Cooking. Being able to use the projects I worked on over the summer now that it’s cold and sometimes dreary, means the world to both me and the family. Cranberries aren’t the only “festive” fruit to use this holiday season, and for this I am — Simply Grateful.